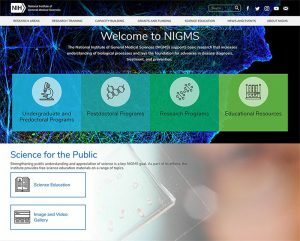 The new NIGMS website was developed according to industry best practices and feedback from our users. Please note that URLs have not changed, but older/outdated content was archived to reduce the number of pages on the site. We welcome your questions and comments about the new site. If you have feedback, please post your comments below or send them to info@nigms.nih.gov. I love the look of the new website. What a surprise when I went to get information for a report today! So far it has been easy to find what I need. Thanks for the eye candy and easy navigation. 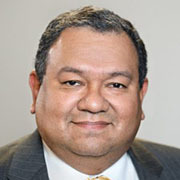 As chief of the Information Resources Management Branch, Jose leads a team that oversees all areas of the Institute’s information technology needs, including the NIGMS website. His office develops custom mission critical systems, supports the Institute IT infrastructure, and provides the Institute with cutting edge technologies. 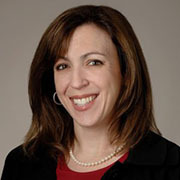 As the communications director for NIGMS, Stephanie oversees the Institute's outreach to the general public, the biomedical research community, and other audiences. Her office communicates the goals and progress of NIGMS-supported research, training programs, and activities.